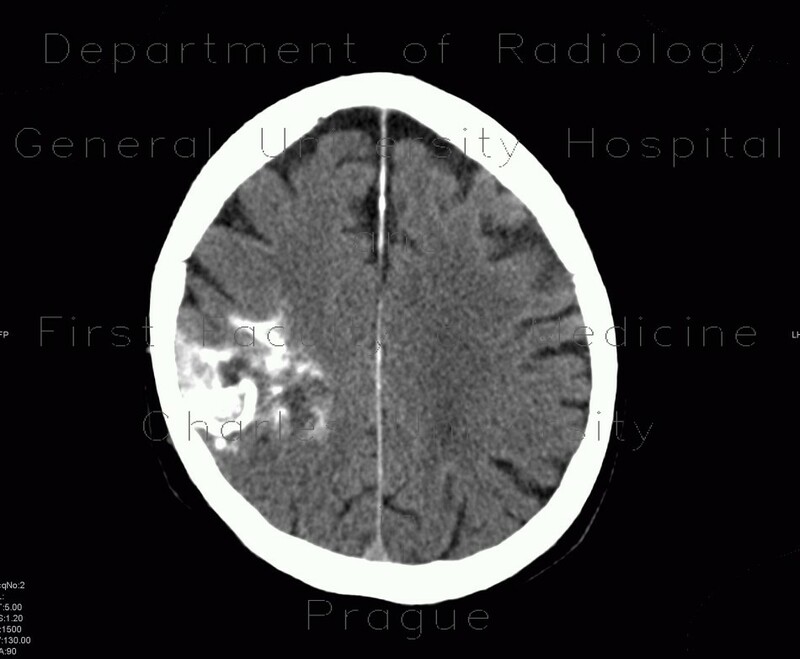 Unenhaced CT scans show typical appearance of a calcified mass in the parietal lobe without signs of perifocal edema. MRI show that the center of the mass contains some fluid, FLAIR sequence show geographic mass of increased signal intensity. The mass causes narrowing of posterior horn of the right lateral ventricle.